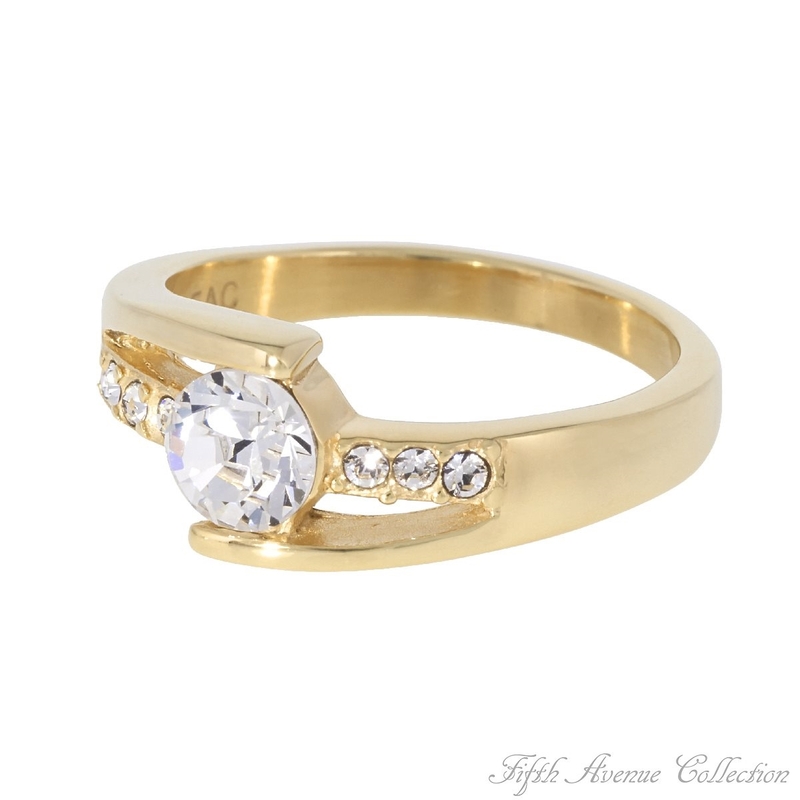 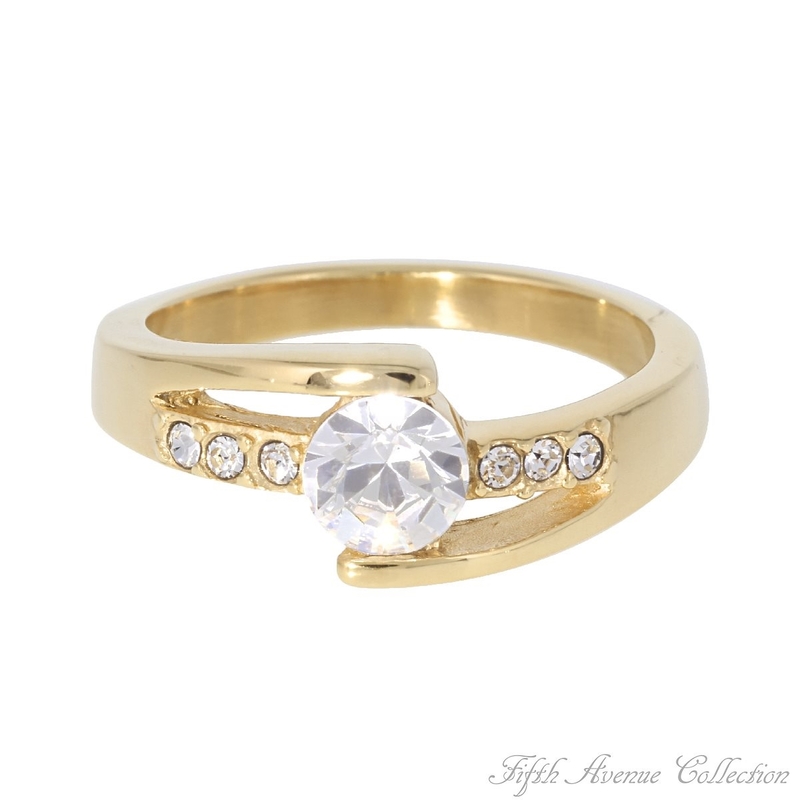 This mesmerizing stainless steel, gold finished ring gives classic style a modern twist. Flanked on each side with luminous channel set crystals, a large Swarovski crystal takes centre stage in this fresh take on the popular bypass style. 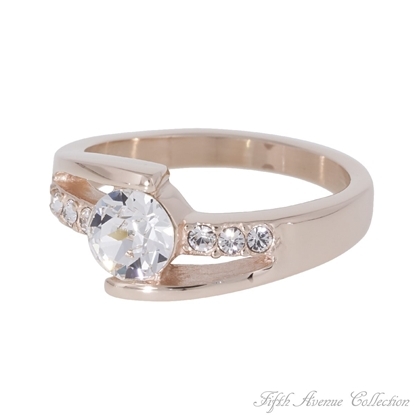 With creative, individual design, and dazzling crystals that brighten any day or night, this ring guarantees to make you memorable today and always.